Blott by Daniel Parsons deserves a solid 8 out of 10. Parsons tells the story of a young boy, Blott, who has lived in an isolated village his whole life. No one is allowed to leave, and for the most part everybody is content to stay where they are until a drought causes severe hunger amongst the villagers. Blott takes it upon himself to travel to the outskirts of the village where the white plains begin with the hope that he will be able to find food. While he is there, he unleashes a power that he has kept hidden from the villagers for years because if he did reveal this power, they would not understand and make him an outcast. The villagers might be right about Blott’s special ability because with it, Blott lets loose a pack of cat-like creatures that begin to terrorize the villagers. 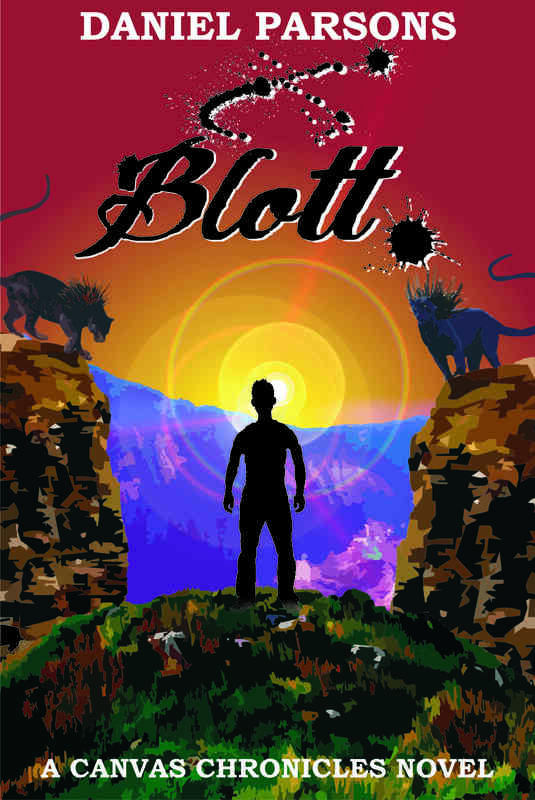 It takes Blott on a journey to discover himself in order to find the right thing to do in the end. Daniel Parsons has blended elements of fantasy in a landscape that reminds the reader of an old west showdown. He has also developed a bunch of rich characters to populate this landscape and by doing so he has been able to delve deep into some interesting ideas: the origins of evil, the journey for self-discovery, and the importance of taking risks. I could see the small secluded town that he had created, and realized quite quickly the extent of the whole world he has made even though he does not supply the reader with a map to the white plains and what might lie beyond them. It adds to the isolation that the villagers feel and lets the reader empathize with them. The creatures that Daniel Parsons has created to inhabit this world are also original. He doesn’t take from old mythology to create a new one for himself. Instead, he creates a whole new class of creatures that the reader can see as they terrorize the townspeople. They aren’t overboard either, but just the right amount of dangerous to add a realistic element to this fantasy. Parsons also does a great job of giving the reader some closure in the opening novel. Too often when new writers write a series, they believe that they need to create a huge cliff-hanger that leaves the reader with too many unanswered questions and doesn’t give the first story any sense that it has ended. I do believe that it is important to have some unanswered questions at the end of the first installment of a series to keep the reader interested, but it should also be able to stand on its own. Daniel Parsons definitely leaves the reader with a cliff-hanger in the epilogue of this book, but if you did not read that you would feel satisfied with the story where it had left off. Of course, with the rich characters and the original landscape that he has created, it will be hard for a reader not to feel excited for the release of the next installment, and Parsons left just enough unanswered questions to have this feeling linger. He walked this difficult tightrope very nicely, and he has to be commended for it. Overall, Blott was a fun story to read with just the right amount of action, and I can’t wait for the sequel to come out so I can continue to follow the adventures of Blott.